Insync is an application that allows you to synchronize all the materials which is on your Google accounts, Google Documents on your computers. Insync service is absolutely free and now works with both Google Docs accounts (Gmail) and Google Apps. There are a few solutions like Memeo Connect, which offers essentially the same functionality like Insync. 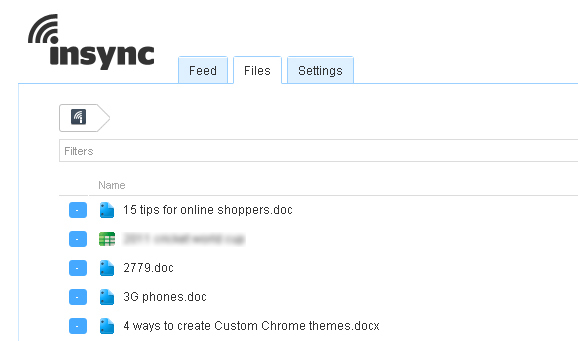 By cons, Insync is to my knowledge the only free solution that works with Google Docs accounts of consumers (Gmail). Memeo Connect requires a Google Apps account. Google Docs is the platform on which I focus for all my business information. I use it to create and share documents, invoices, and I save my digital applications and documentation. The problem is that Google does not offer synchronization tool. But now I have found the solution in terms of Insync. Insync Analytics is positioned as a Dropbox Google Documents. Essentially, this service will synchronize all of your Google Documents on all your computers. You have a copy of all your documents and folders on your computers. The documents become accessible even when you’re offline. You can create folders and move documents from one folder to another on your computer. With Insync, Uploading files and folders is done from your workstation. Insync seems to be a great tool for anyone who uses Google Docs. It works well and is now open to all.